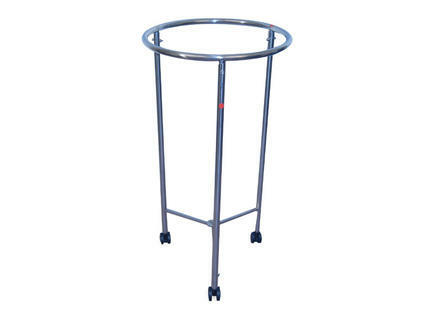 Constructed of stainless steel, this mobile hamper is both durable and clean in its design. All welding accomplished by heliarc method for strength. Exposed welds have been ground smooth to prevent snags. The hamper's exceptionally smooth finish eliminates pit marks, weld seams, and other irregularities often found on more expensive hampers. All exposed surfaces have been polished to a smooth, attractive finish. Heavy gauge steel is used throughout for stability and strength.